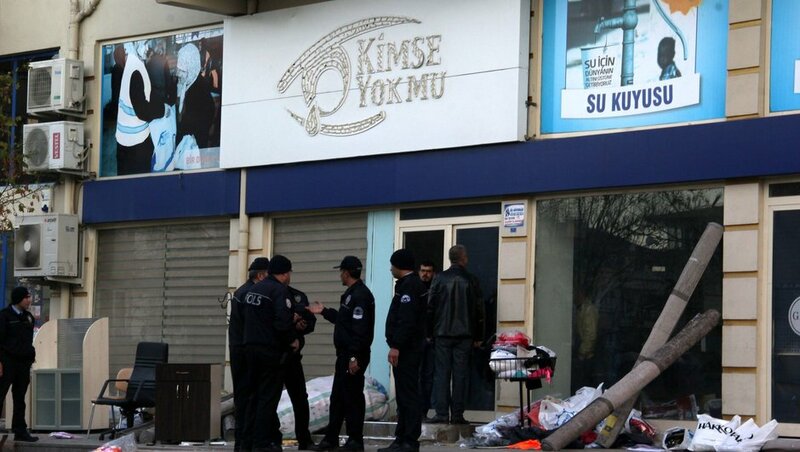 Gaziantep police detained 40 suspects, including Syrian refugees, after a group of people ransacked Kimse Yok Mu aid organization office on Sunday. Kimse Yok Mu charity, which was shut down by a government decree as part of the state of emergency following the failed coup in July, was a charitable organization established by the people inspired by the views of US-based Turkish scholar Fethullah Gülen who the Turkish government accuse him of masterminding the coup attempt on July 15. The Gaziantep office of the charity in Kolejtepe neighborhood of Şahinbey district was sealed by authorities with food, clothing and other aid materials inside. Early this month, a private dormitory in Istanbul’s Esentepe district, also seized in Gülen-linked investigations, was ransacked by unknown suspects on multiple occasions as well. This article originally appeared in Turkish Minute on Dec. 11.